About this time every year, I am amazed at the pumpkins that folks create. Not the pies — although I appreciate those, too — but the pumpkin carvings that I see on porches, stoops and online. They just get more extreme and extraordinary every Halloween. In fact, I saw one today that touched my inner gourd. 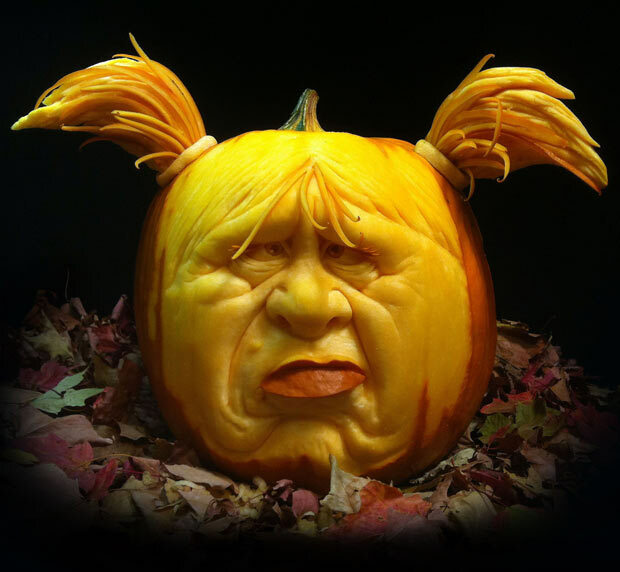 This entry was posted in Art, Design, Foods, Holiday, Home, Humor, Life and tagged art, design, Foods, gourd, Halloween, Holiday, home, Humor, life, online, porch, pumpkin, pumpkin carving, pumpkin pie, stoop. Bookmark the permalink.